Hi, this is clearly a replacement strap for a German canteen. IMO it is not a repo!? So far RKW is not a canteen manufacturer, any informations are welcome! It`s Original, i found them some years ago in a former RAD camp, as i rember around 500. Since many canteen straps can be found marked with the RBNr. 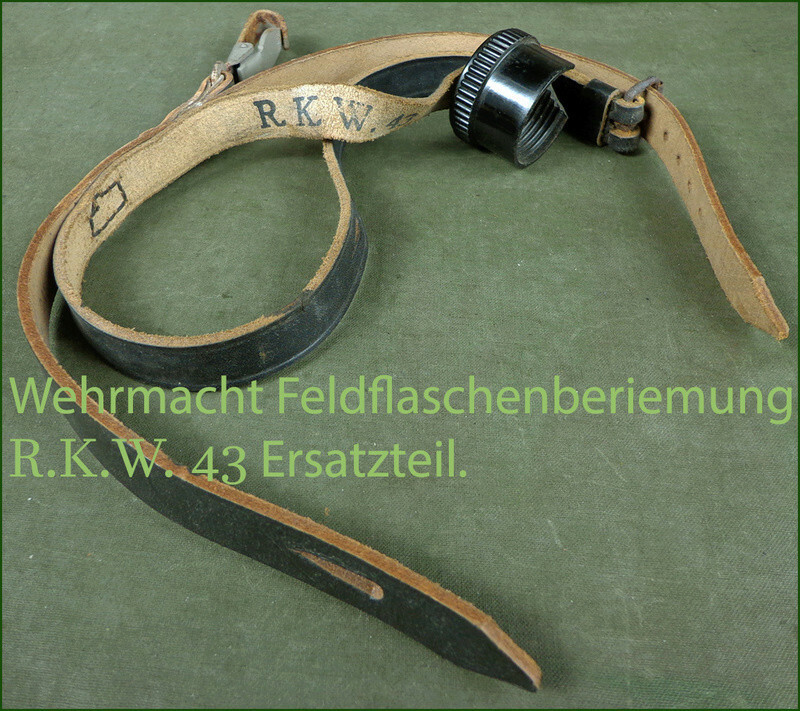 0/0560/0156 which stands for Rahm & Kampmann Wuppertal, it should be pretty safe to say that R.K.W marked straps are from the same maker. Searching Zeltbahn marked with R.B.Nr. 0/0350/0249 and Bakelite buttons. Hello, It sounds pretty good! Thank you for the info! !